We’re excited to announce the launch of our new service, Photo Delivery. Photo Delivery is a great way for real estate photographers to instantly deliver photos to clients directly from PhotoUp. 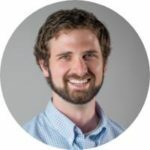 Photo Delivery not only makes it incredibly fast and easy to instantly deliver final edited images to clients, but it also solves a larger issue we’ve heard from photographers for some time, accounts receivable (aka getting paid!). 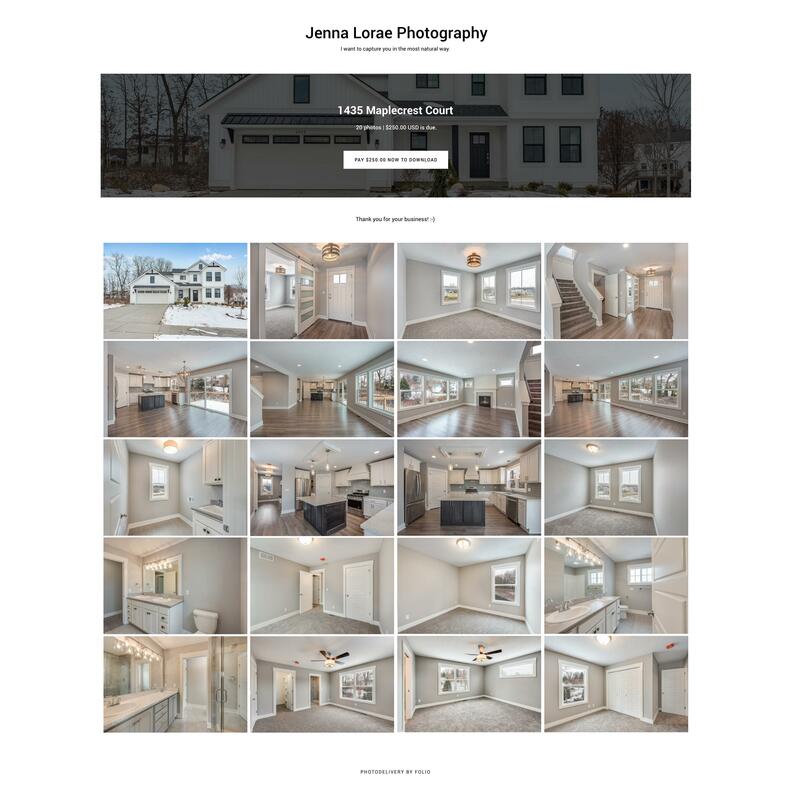 Real estate photographers are well acquainted with the fast turn-around times the real estate industry demands, but often this fast delivery time is not reciprocated when it comes to getting paid. This commonly leaves photographers with thousands of dollars in outstanding receivables before one even start counting the time it takes to invoice and chase overdue accounts. This is solved with Photo Delivery’s premium Pay-to-Download feature which allows a photographer’s client to preview their photos in a gallery but requires them to pay for their photos securely online before they download them. This both saves photographers time and greatly improves cash flow for business operations. Photo Delivery is powered by the FolioWebsites platform. The Folio and PhotoUp teams have worked for nearly a full year to provide a deep, integrated and seamless workflow experience between the two platforms. A quick thanks to all our early beta customers who helped us refine the integration! For photographers who are looking to update their website Folio is the perfect solution. Folio is offering PhotoUp customers full custom website design for an exclusive price of only $299 for a full custom website design and build. 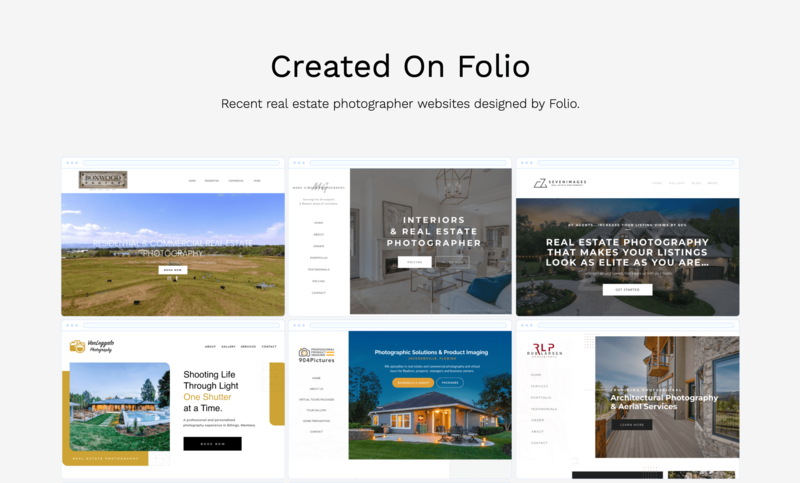 Websites by Folio are full mobile ready and have powerful features for photographers and provides a more branded experience for Photo Delivery. We’ve already have a growing number of PhotoUp members using Folio and it’s been very rewarding to see their businesses continue to grow. Folio offers unlimited website updates and makes website management a breeze. Check out photographer website examples and pricing over at foliowebsites.com. Photo Delivery requires a Folio account, which can be created within your PhotoUp account. 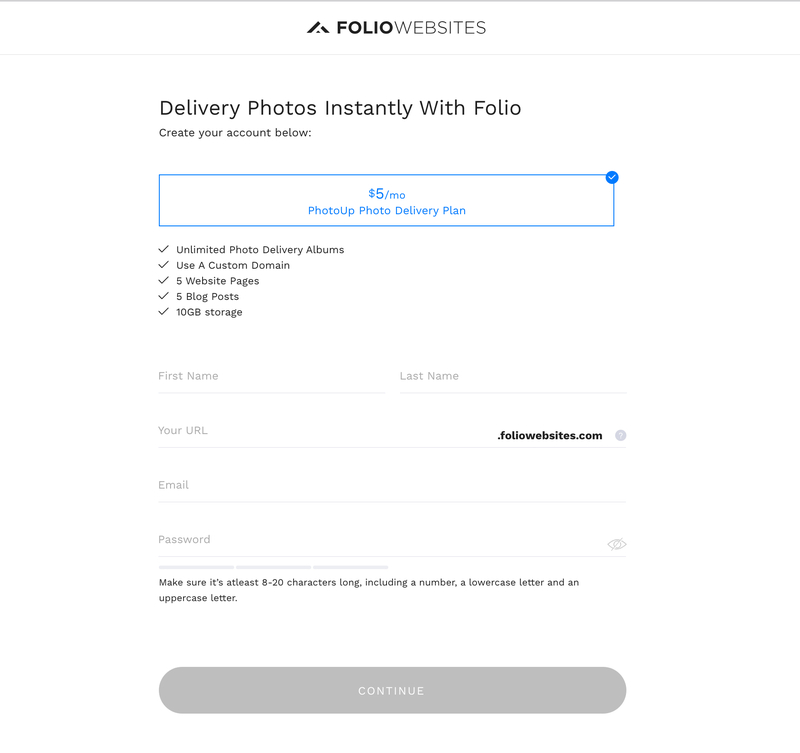 Our members receive exclusive $5/month pricing with Folio for unlimited photo deliveries each month, which includes up to 10GB of storage and all plans are month-to-month. For photo deliveries using the premium Pay-to-Download feature, Folio charges a 1% transaction fee with a max fee of $10 per transaction. There is no transaction fee for deliveries which do not use Pay-to-Download. Photo Delivery boasts powerful permissions allowing a photographer to choose View Only, View & Download (no payment required) or Pay-to-Download options. Pay-to-Download can be set on a per-user basis or a one-time payment unlocking download privileges for other users the album is shared with. Pay-to-Download uses the industry leading Stripe platform to process online payments, allowing all payments from clients to be deposited straight to the photographer’s bank account with typically processing time of two business days. Stripe charges the industry standard credit card processing fee of 2.9% plus 30 cents per transaction. 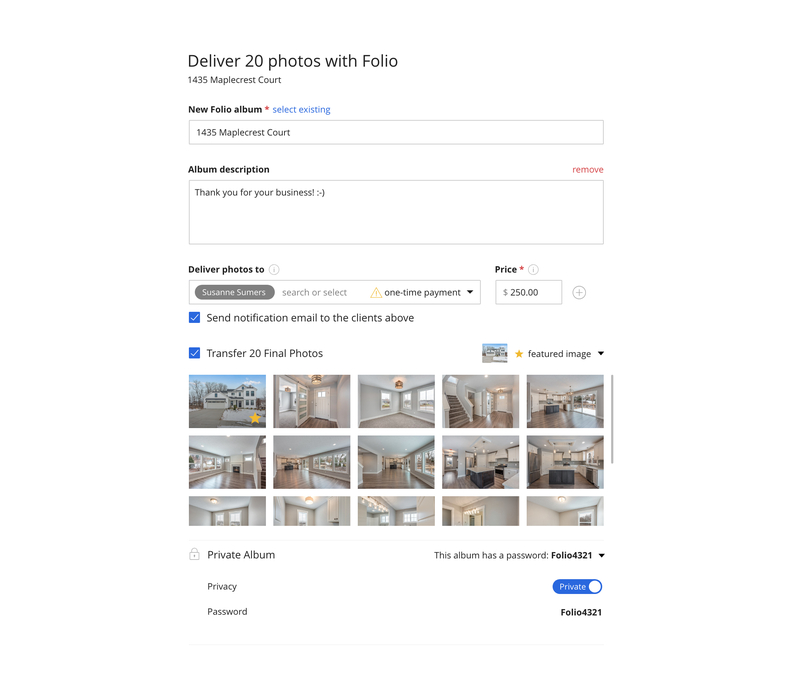 Finally, thanks to the full integration between PhtoUp and Folio, photographers can also deliver some but not all photos from any PhotoUp order and even add additional photos to a Folio album from PhotoUp after revisions are done if photos were already delivered to a client. Photo Delivery also comes with integration into PhotoUp’s Clients panel. For orders which already have a client assigned to them from the uploader, Photo Delivery is truly one-click. Other standard features such as watermarks also are fully compatible with Folio. At PhotoUp we’re always looking for ways to improve the workflow for real estate photographers to ensure our members have a competitive edge in the market. Photo Delivery represents a major improvement to this workflow for our members, helping you improve your cash flow and saving you even more time to spend with friends and family. From all of us here at PhotoUp, thank you for being part of our story and we look forward to helping you all succeed in 2019 and beyond!